The MailChimp Lock for Download Monitor allows you to require users to be subscribed to your MailChimp list before they gain access to a download. This extension is the result of an awesome collaboration between MailChimp for WordPress and Download Monitor, offering you the combined power of both! After installing and activating the Download Monitor: MailChimp Lock extension head over to the edit screen of the download you want to protect. There, tick the checkbox that says Subscribers Only? and select the list to which people should be subscribed before they are allowed to download. 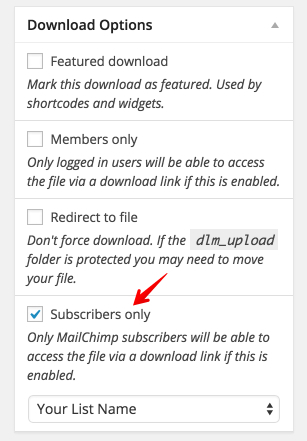 Now, only people who are subscribed to the selected MailChimp list are allowed to download. After people subscribe, you can send them the download link in your confirmation email or, if you have double opt-in disabled, in your final welcome email. Both emails can be edited by logging into your MailChimp account and then browsing to Lists > Your List > Signup Forms > General Forms. From there you can select the email from the dropdown to edit it. Provide existing subscribers with the download URL. You can provide your subscribers with an unique download URL from your MailChimp Campaigns. To do so, grab your download URL and append the following. MailChimp will automatically replace the `*|EMAIL|*` part with the email address of the receiver. A complete unique download URL will look something like this. 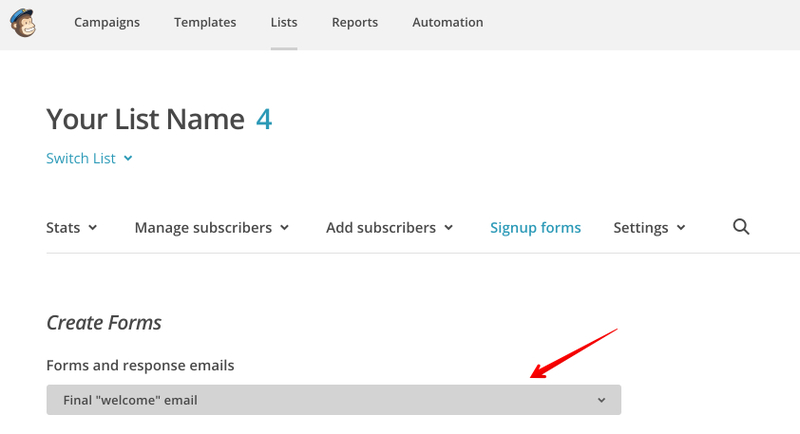 If your visitor has used a MailChimp for WordPress form to subscribe then even the download URL without the additional email parameters will do the trick. Your visitors will need a way to subscribe to your MailChimp list before they are allowed to download the file(s). 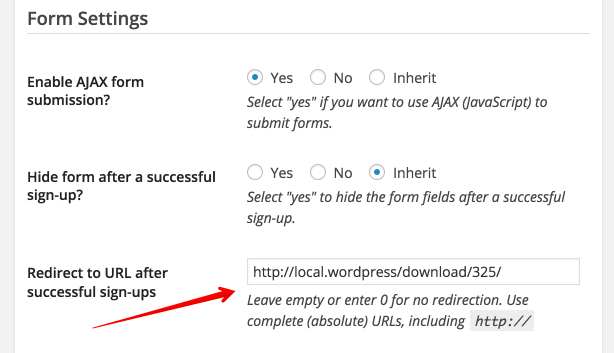 That’s why you should create a form using the MailChimp for WordPress plugin and show it to your visitors on your site. If you’re not using double opt-in then you can even set the URL of the download as the Redirect URL in your form settings. If you’ve followed above steps in the Usage section your MailChimp Lock is ready to be used. Visitors will be have to complete the select MailChimp form prior gaining access to the download.